If you are from West Bengal and were waiting eagerly for the state's tableau in the Republic Day parade at New Delhi this year, you must have been left sorely disappointed. For there was no West Bengal tableau in the parade this year. Not because the state's government refused to be represented in the parade but because the powers that be did not want West Bengal's tableau to be represented in that parade. There was indeed a West Bengal tableau themed Ekotai Sompriti (Unity is Harmony) but that took part in the West Bengal government's Republic Day parade in Kolkata. The West Bengal government had proposed the same theme 'Unity is Harmony' for its tableau in the Delhi parade but it was not given clearance by the Centre. Thus, the West Bengal government made 'Unity is Harmony' the primary theme tableau for the Republic Day parade in Kolkata. It portrayed the plural and harmonious culture of Bengal, something that Delhi did not want to be paraded on its streets. Chief Minister Mamata Banerjee pointed out, "This year, Delhi did not allow our tableau. We planned to bring different forms of folk artists, like street artists, Bauls, Sufi singers and Fakirs on the same platform for this year's Republic Day tableau. But they (the Centre) could not accept that." Here, Delhi is not the city but the Union government power structure. "India, that is, Bharat shall be a Union of States" are the opening lines of the Constitution of India. Without the states themselves, there is no Union, no India, no Bharat. The day that marks the promulgation of the Constitution is the Republic Day of the Indian Union. This is the day that marks the transition from imperial subjects to rightful stakeholder citizens of a huge segment of people of British controlled areas of South Asia that the British cobbled together and called "India", a novel administrative entity till the advent of White colonisers. 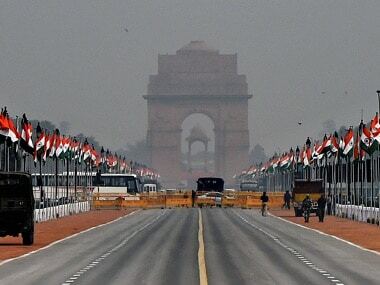 While all state governments in their own state capitals conduct Republic Day events, the Republic Day parade, held every year in New Delhi on 26 January, marks the coming together of states into this sovereign entity called the Indian Union. Article 1 of the Constitution of India puts into word this coming together of states. Thus the 26 January event in New Delhi represents that stakeholdership of the states in the Union. The state tableaux represent just that. The Republic Day parade of 2018 at New Delhi was unique in a shameful way. It debarred the West Bengal tableau from participation, thus symbolically removing West Bengal and its mostly Bengali people from this stakeholdership in the parade celebrating the Union of States. The symbolic removal of eight percent of Indian Union citizens from a public display of their stakeholdership in the Republic is no small affair. Mamata's statement on the dropping of the tableau underlines the gravity of what had just happened. 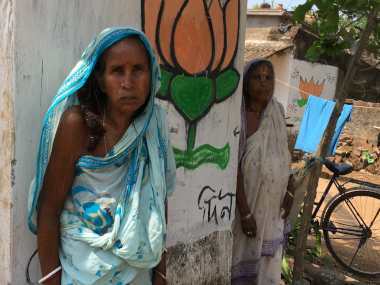 She said, "This is an insult to Bengal and her people. The theme of our tableau was unity and we wanted to show that only harmony among people can ensure peace. Is that why our tableau was rejected? Only those who can accept all opinions and beliefs and move forward with the people become great leaders. To become great, one has to show a lot of tolerance, but right now, some people are busy causing divisions among Hindus, Muslims and Christians. Our tableaux on folk culture were awarded in 2014 and 2016 but in 2015, they rejected the tableau based on the Kanyashree project for girl children. The Centre did not give any recognition to Kanyashree but it was awarded by the United Nations." Exceptional moments like these give citizens of India a look into the Republic Day parade organising process in Delhi, which otherwise may appear harmonious and smooth. West Bengal was over-ruled by a Union government ministry, apparently based on whims. I say whims because the Union government appointed Committee under the Union government's Ministry of Defence did not offer any written explanation about the reasons for rejecting the tableau. Mamata described the chain of events as such, "We were called for the expert committee's meeting in September and also for another meeting in October and our proposal was appreciated there. We had also accepted all their suggestions, but we were not called for the next meetings because our proposed theme was on unity." By such, shutting out of a state that had won the first prize for tableau in two of the last four years and in the absence of an explanations from an opaque and nameless creature of Delhi power called the Ministry of Defence Tableau Selection Committee, one can surmise what are the reasons given the context of dropping a strong secular state like West Bengal, which has been facing regular discrimination in funds disbursement from the Centre, including the shameful denial of any funds for flood relief for the fatally devastating floods of 2017. The neighbouring states like Bihar and Assam as well as neighbouring country Nepal received huge funds for flood relief during the same flood. Just when in many BJP ruled states of the Indian Union, Hindi-Hindu-Hindustan ideology militias and vigilantes are wreaking havoc, 'Harmony is Unity' theme of the West Bengal tableau would have upheld the secular republican constitutional values. When unity and harmony are themes that are not acceptable to Delhi’s power to be, we get a peek into the ideological framework of the faceless decision makers sitting behind the anonymity of a 'committee'. When the defence ministry committee actions stink of such partiality and partisanship, then a very fundamental compact between Union and a state is broken. This goes against all tenets of federal republicanism, which is precisely what is supposed to be celebrated on 26 January. It is important to realise that the Delhi event is not a Union government circus but a solemn event of the Union of States itself. This is why the President of India, in whose official jurisdiction the state and the Union governments both come, is the person who takes the salute on that day. If the Union government thinks that it is the sole government in the Indian Union, it is either being ignorant of the Constitution (which is unlikely) or is deliberately undermining the Constitution. Such unilateral aggressive actions by the Centre represents not only an assault on the federal structure of the Indian Union but also on representative democracy. The Union government is not in charge of the "country" because there is no such constitutional entity. Country (desh) and Rashtra (state) are not the same things. There are lists of state functions. Union government is only in charge exclusively of those functions, which are in the Union List. For concurrent list subjects, Union government is in joint charge in a spirit of cooperation with the state governments. Thus, the Union government is not superior to the state governments. They don't share a parent-child relationship. The state government is sovereign and not answerable to the Centre with reference to any subject in the state list. Rather they do different things, with separate powers that are mutually sovereign, more like siblings with different responsibilities. Mutual non-encroachment is the guarantee of the preservation of the federal structure, part of the unchangeable basic structure of the Constitution. It is laughable that the Centre continues to deny any role in the rejection of the tableau. Meanwhile, Union minister from BJP Arjun Ram Meghwal said, "There is a committee which selects the tableaux. There is absolutely no role by the central government on the issue." When a government minister hides behind the sorry figleaf of a government committee saying they decide and we don’t, he insults the intelligence of citizens. Let us get some things straight. The committee is a selected one. Do functionaries or employees of the Union government not select it? The committee is under the Ministry of Defence. Is the Ministry of Defence not a department of the Union government? From when did the Ministry of Defence become a sovereign entity? Because in a republic, all departments and its employees and functionaries are under governments elected by citizens. Army or Navy or Air Force or Union government, not one is sovereign but are under citizen's democratic will. It is the Constitution of India. Ministry of Defence or the Union government is legal only because the Constitution of India says so. Only the citizens are sovereign. Again, not my viewpoint. It is the Constitution of India. 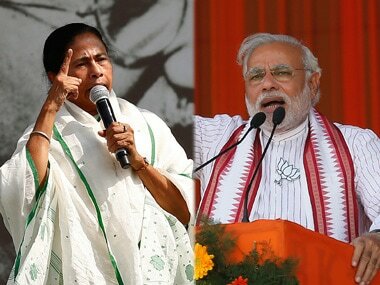 What if Delhi had allowed the West Bengal tableau? Some despicable things would not have changed. The tableau would have read 'Paschim Bangaal' in front, written in Devanagari. What is this 'Paschim Bangaal'? I am assuming it has something to do with the western half of Bengal after its second partition in 1947. 'Paschim Bangaal' is not an official name of the state. 'Paschim Bangaal' is not what a stupendous majority of the people of West Bengal call it. But it is what Hindi-speaking people call it. Why does that have priority? A linguistic state like West Bengal cannot even choose what it calls itself? It cannot even choose what language to display in front of its tableau? Are non-Hindi state tableaus custom made circuses for the entertainment of Hindi speakers? Isn't it sad that the Tamil Nadu tableau name can't even be read by most Tamils but by all Hindi people? In the Federal Republic of India, where equal citizenship is the law of the land, what is the meaning of this Delhi-imposed hierarchy? To be made intelligible to Hindi people, Delhi seems to have used caricatures of non-Hindi state names with impunity and then make the caricature names unintelligible to the actual non-Hindi state people themselves by making Devanagari compulsory in the front. Is this equality? Is this federalism? Is this republicanism? Delhi hopes that this sort of imposition will be normalised. Such is the insidious nature of centralising ideology that it is now quite openly defining the first class citizens of the Indian Union through three signifiers. Hindi-Hindu-Hindustan. The Indian Union is not Hindustan. It is a name that was proposed in the Constituent Assembly and rejected. West Bengal is not Hindustan. Tamil Nadu is not Hindustan. The ideological opposite of Hindustan maybe Pakistan, but that is Hindustan’s problem, not a problem of the non-Hindustan states of the Indian Union. The ideological opposite of Hindi may be Urdu, but neither Hindi or Urdu is an ideological opposite of Bangla or Kannada or Tamil unless Hindi or Urdu is made compulsory or imposed. When Bengalis pronounce other people's names in their way, it is termed ignorance. When they stick to pronouncing names in their own ways, after being reminded of the correct way, it is termed obstinacy and parochialism. When the Hindi-Hindu mandarins do the same through, their "Paschim Bangaal", it is given the aura of a standard – to be emulated and propagated through Union government edicts and subsidy. Different peoples have their own ways of making sense of others, except the hegemon who has given itself the unilateral right to not only caricature others but also make sure that such caricatures enjoy the status of 'official' and 'approved' portrayals. This ideology runs deep. The Tamils or the Bengalis can be caricatured for their dress and pronunciation, but there is no fiddling with the Hindu-Hindi. The 'core' is never caricatured. That is 'anti-national'. Or rather, what is not caricatured is a hint of what is the core. This 'core' sits in the Red Fort, it sits in the differential font size between Hindi and non-Hindi scripts of currency notes, it sits in CBSE school syllabi, it sits not only in Hindi-English but no Bangla or Tamil interface of Union government websites and forms, it sits inside the heads of the subject who were supposed to be citizens. That was the promise of 26 January and that still remains the unfulfilled promise of that day. Bengalis were not given rights by Delhi. They gave themselves the Constitution and they gave themselves an agreed upon restriction to their pre-existing natural rights. The Centre did not create them. They created the Centre. They are not subjects, they are the citizens.